Toptalers in the Lisbon area, you’re invited to an all-day event that will take place in two phases: coworking during the daytime, followed by an evening event with expert talks. If you’re in the area, stop by and join your community any time on February 26 between 9:00am and 10:00pm. From 9:00am to 6:00pm, Toptal developer Carlos Guedes will host a day of coworking in this brand-new workspace. Asia Lindsay, Toptal’s Regional Lead for Western Europe, will also be onsite. Feel free to invite a guest who may be interested in meeting Toptalers, or finding out more about Toptal and remote work. – Asia Lindsay (Toptal) - How Remote Work is Changing the World. – Carlos Guedes (Toptal) - React Hooks and Array Destructuring Performance. 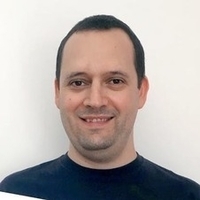 – Pedro Félix - Coroutines in Kotlin. Please RSVP on this page so we get an accurate headcount. For questions, please contact the event organizer.